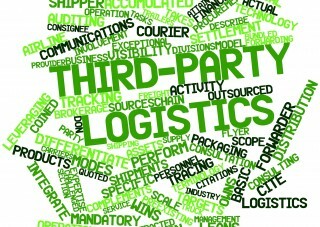 Third party logistics has gained a lot of fame in the past few years. Many of the companies are outsourcing the logistics and their shipments to a reputed third party logistics. The 3PL gives you a full service starting from assembling, packaging, warehousing and distribution. It increases the profit with the combination of knowledge and resources. Here are some of the advantages of third party logistics service provider. Save Money and Time: Outsourcing the logistics to a third party logistic service provider saves a lot of time and money that you can invest in something else for the betterment of the company. With 3PL, you do not have to buy space for a warehouse of your company, which automatically reduces the cost of hiring people to take care of it and the staff to execute the pick and drop facility. It helps in building a global network of logistics with a minimum risk and maximum return. Better Resource Network: With third party logistics you can stay assured about the vast network of resources that is beneficial for an in-house logistics. The resource network 3PL all the needs of the supply chain can be executed in a very cost effective and efficient manner. 3PL helps in building a relationship with other logistics service providers and also offers discounts. This feature results in fastest service possible so far. Flexibility and Scalability: 3PL comes with a feature to reduce the space, the labor and the transportation service according to the demand of the business. There are certain businesses that have a particular season of operation, 3Pl provides those businesses a stress-free transition even when the company is going through some financial crisis. Third Party Logistics helps in the growth process of your business without any hindrance and barriers. Ongoing Industry Expertise: A third party logistic service has a very good knowledge about the trends been followed in the market. As they have been into the market for a long time they know how to deal with different clients and what their clients expect from them. Because of their experience, they stay updated with the developments in manufacturing, technology and the logistics. Most of the third party logistics service providers have a 3PL software that is designed to provide all the information related to reporting, management and makes the entire process crystal clear. The 3PL professionals make the use of just in time policy to ensure that the shipment gets shipped when and where it is in demand. You can focus on managing the competency of your company with the 3PL service providers by involving the experts in decision-making processes. 3PL offers you a stress-free execution of the deliverables with an assurance that they are handled by reputed and reliable professionals. Outsourcing your 3PL services ensures accelerating growth and improvements. They eliminate all the possible errors that may hamper the successful delivery of the logistics. They help in maximizing the profit and provides an improved customer service satisfaction.